With Father’s Day only a couple of days from now, some might be feeling the pressure of finding the right gift for your one and only father. Of course, there are the usual go-to gifts that you could easily get such as Ralph Lauren polo shirts, Benetton perfumes or that cheesy “Best Dad in the World” tumbler. Or, if you want something really special and would be remembered and used dearly by your dad for the foreseeable future, consider these gift ideas suggested by Amazon . For fathers out there who enjoy the great outdoors, nothing beats a reliable GPS unit to guide you wherever you want to go. 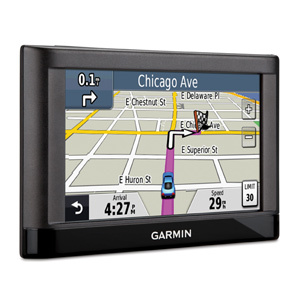 This unit from Garmin, dubbed the Garmin nüvi 52, is a great choice and at $129.99, it is very affordable too. It sports an easy-to-graphical user interface with a bright 5-inch color display for a better overall driving experience. The model also features lane assist with junction view that displays junctions and interchanges with colored arrows to properly indicate which lane you should be for your next turn or exit. Voice prompts comes standard with the device, as well as support for the entire North America including Puerto Rico, US Virgin Islands, Cayman Islands, Bahamas, Frech Guiana, Guadeloupe, Martinique, Saint Barthelemy, and Jamaica. Is your father always on-the-go? Does he enjoy camping and fishing? Then this might be a good companion for him on those trips. 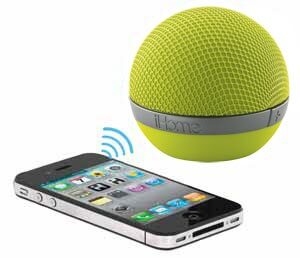 Armed with a built-in rechargeable lithium ion battery, the iHome Bluetooth Wireless Speaker allows for wireless music streaming within 30 feet (10 meters) from your Bluetooth-enabled phone, iPad, PDA, computer or other device. It features auto-link technology for connectivity and a 2in1 USB/3.5mm audio to micro USB cable for aux audio and charging from your computer. It is also powered by SRS TruBass circuitry for added music depth. Available for only $47. Men in their 40s and 50s generally have golf as their primary sport. 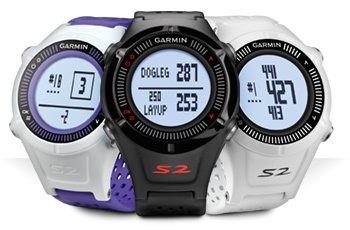 As such, the Garmin Approach S2 Golf Watch is a great companion for him whenever he hits the course. At $249, your father will get over 30,000 preloaded worldwide courses with free lifetime updates paired with a high-sensitivity GPS receiver for stronger signal strength and improved tracking. More so, the watch is able to provide precise front, back and middle of the green yardages, layup and dogleg distances, and individual shot distance measurements. Do you have a rockstar for a father? Then this will surely be a great gift for him. 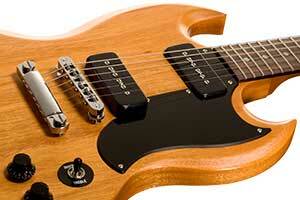 For $618, you get a limited edition, Gibson SG Special ’60s tribute guitar which is essentially the same model used by legends such as Pete Townshend, Carlos Santana and Tony Iommi. The SG Special ’60s Tribute is based around the same revered tonewoods, glued-in neck, and Alnico-magnet P-90 pickups that made the original model legendary, with the same SlimTaper ’60s neck profile that is behind some of the fastest-playing guitars in history. Stripped-down and ready for business in your choice of Worn Cherry, Worn Natural, Worn Ebony or Worn White, the SG Special ’60s Tribute has the look and feel of a well-played friend right out of the gigbag, and comes in at a price that any hard-working player can afford. For those who are photography enthusiasts, whether professional or amateur, nothing beats a dependable DSLR such as the Nikon D5200. The Nikon D5200 DSLR comes with an 18-55mmVR lens that is designed to awaken your father’s creative passion. Find exciting new perspectives with an ultra-high resolution Vari-angle display that swivels to nearly any position. Capture your vision in lifelike brilliance with an exceptional 24.1 MP DX-format CMOS sensor, then share it instantly with the optional WU-1a Wireless Adapter. Unleash the artist within. DX Format, 24.1 Megapixels, 5 frames/sec Continuous Shooting, 100-6400 Full Feature ISO Range, Full HD Video 1080p at 30/25/24 fps. Available online for $796.95. 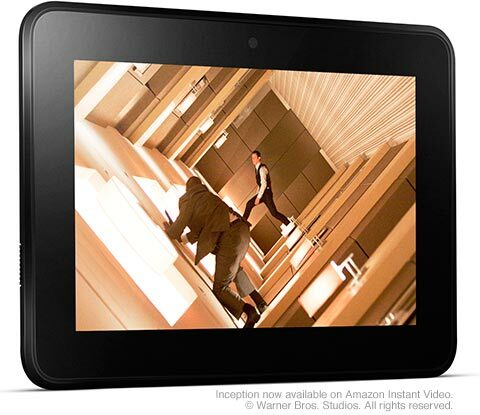 If your father loves reading magazines or books, or if he enjoys watching videos online, then the Kindle Fire HD is a great gift for him. Widely considered to be one of the most advanced yet most affordable 7inch tablet around today, it features a 1280×800 HD display, exclusive Dolby audio and dual-driver stereo speakers, 1.2 Ghz dual-core processor, PowerVR 3D graphics core, front-facing HD camera for taking photos or making video calls, and free unlimited cloud storage for all your Amazon content. SRP is at an affordable $199. For more gadets to choose from, visit Amazon’s Father’s Day special.